What do you get when you mix together a group of friends, some beer, and the pursuit of the American dream? 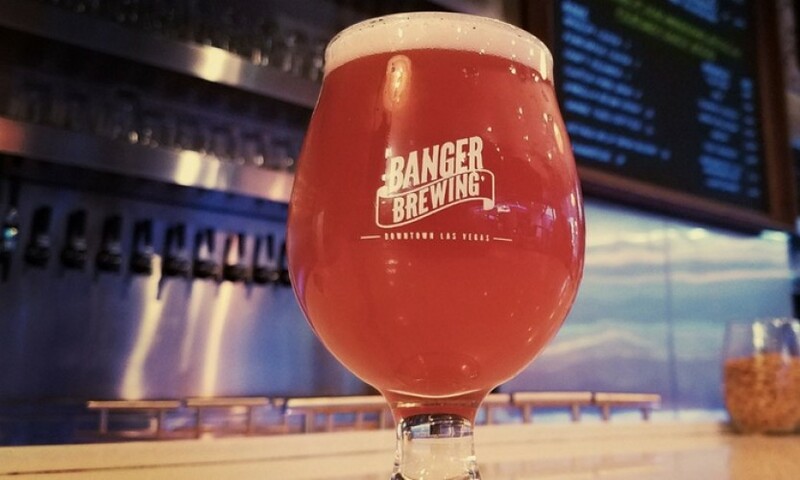 The answer is Banger Brewing, where five pals-turned-brewing-brothers have made it their mission to create beverages worthy of their Las Vegas home. Besides love for their city, these brewmasters rely on fresh ingredients to churn out handcrafted beers one small batch at a time. That careful brewing results in quaffs such as the popular, award-winning El Heffe, a hefeweizen infused with freshly roasted jalapeños and serrano peppers. Banger Brewing's tasting room welcomes guests to sample the El Heffe alongside other flavorful creations, and free guided tours offer glimpses behind the scenes every day. Click here to view the enormous Las Vegas show ticket discounts that are available for purchases made today online. Pricing is even better (in many instances) than the last minute show ticket kiosks on the strip are offering... and you don't have to wait until the last minute to buy your tickets and risk the show selling out! Many top show tickets are discounted at half price or better and can be purchased for shows on any future dates. DON'T MISS THIS EXCLUSIVE 100% FREE VISIT OFFER FROM SAPPHIRE - World's Largest Gentlemen's Club - Free for all guys and ladies age 21+! Click HERE to reserve your exclusive 100% FREE visit available 24/7 (Includes Limo, Front of Line Entry, No Drink Minimum) to the World's Largest Gentlemen's Club! A special thank you to the Sapphire Club for this exclusive. generous, amazing offer for our website visitors. This is a limited time exclusive offer. Special offer reservations will be honored for a visit today or any future date as long as the reservations is scheduled today. Click here to see the Men of Sapphire and other male revue specials.